This patch iron on/sew on,is about 4 in. 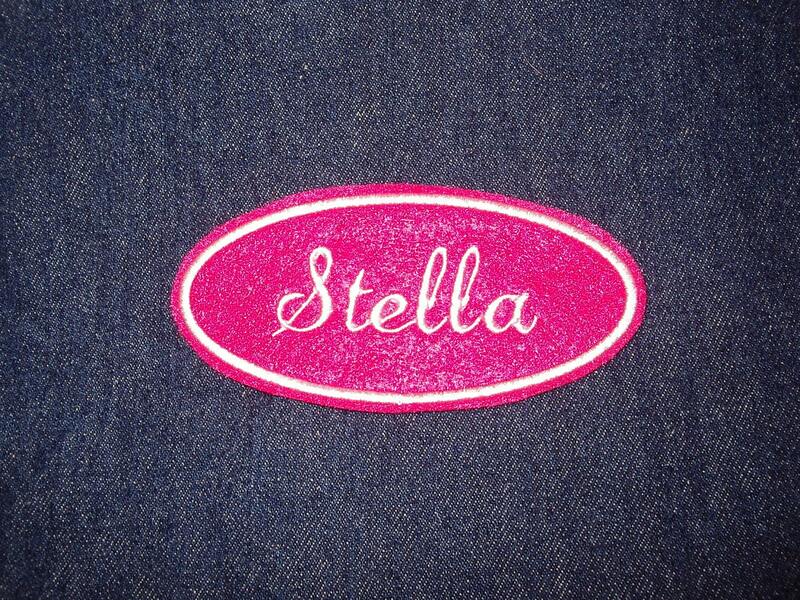 on hot pink with white stitching. Quick shipping, and it’s hand made. The patch looks great as described. Thank you!